Missouri Republican U.S. 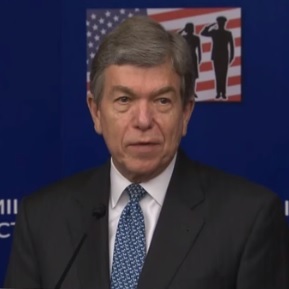 Senator Roy Blunt calls free college “foolish” without a way to pay for it. His Democratic challenger, Secretary of State Jason Kander, says no-cost tuition would be too expensive. That was one notable agreement between the two opponents during a forum Friday in Branson. Kander, Blunt, Libertarian Jonathan Dine, Constitutionalist Fred Ryman and Green Party candidate Johnathan McFarland participated in the debate that was hosted by the Missouri Press Association. Blunt says year-round Pell grants for college students should be restored. The need-based grants are for lower-income individuals. Kander took several jabs at Blunt during the debate, including when he accused Blunt of cutting Pell grants to college students, then endorsing restoration of the funds. Blunt said that move was supported by Democrats. “Senator, somebody who sets a fire and then puts it out is not a fireman, they’re an arsonist,” says Kander. Kander wants to allow students to refinance college loans and cap the interest they pay for those loans. Recent polling shows Blunt and Kander in a close race. Democrats need to win a net of five seats to regain control of the Senate—or four if Hillary Clinton is elected president.